Readers who remember the previous incarnation of this column over at the old stand will probably remember that I love me some jungle adventure. And for whatever reason, there’s been a little mini-bonanza of the stuff crossing our threshold over the last few days. So despite this damnable flu bug that has ravaged our household this week I still have some things to smile about. First of all, at long last, I was able to settle in with some nice new DVDs that Santa brought….the 1960s Tarzan, Seasons One and Two. Now, we already have a great many Tarzan movies here in the home library, ranging from Elmo Lincoln to Herman Brix to the most recent effort with Alexander Skarsgård and Margot Robbie. The 1960s version with Ron Ely is special to me, though, because this one was my first. Before I found the Gold Key comics that led me to the Burroughs novels, even. Some of my earliest memories are of sitting curled up on the rug in front of our wood-paneled behemoth of a color TV console (with built-in stereo speakers!!) to watch Tarzan. There are Tarzans on film that are better; there are adaptations that are closer to the novels; and there are the novels themselves, of course. But you never really get over your first. 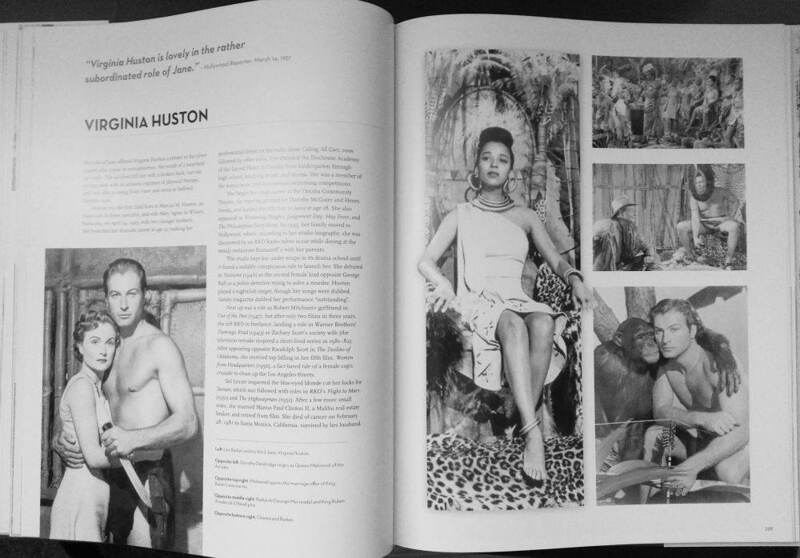 The show basically eschewed anything to do with Burroughs and instead presented Tarzan as a sort of loinclothed super-cop in modern-day (1960s) Africa. This was because the show was produced by Sy Weintraub, right after he was coming off the series of movies he had done starring Mike Henry as an ‘updated’ Tarzan…. Tarzan and the Valley of Gold and so on. But Ron Ely’s TV version, though it presented Tarzan as an articulate and educated man, was full-on old-school jungle adventure. Unlike some other shows I loved forty years ago, turns out this one holds up pretty well. Hostile tribes, evil poachers, and lots of shots of Tarzan wrasslin’ lions and gators. 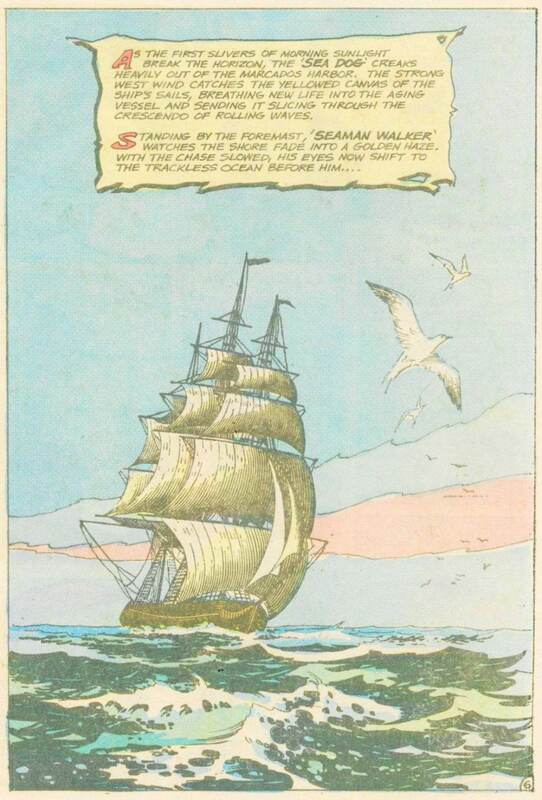 It is pretty close in its structure to the later Tarzan novels, where Tarzan swings by to help stranded travelers or some such, though there is nothing as wildly imaginative as Burroughs’ beast-men of Opar or the Knights of Nimmr. Since it was shot wholly on location in Brazil and Mexico, it still looks great, especially on DVD. It’s good solid episodic TV and if it’s not exactly innovative in its plotting, nevertheless it’s executed with great class and style, and it’s nice to have it here in the home library at last. Julie is enjoying it too. 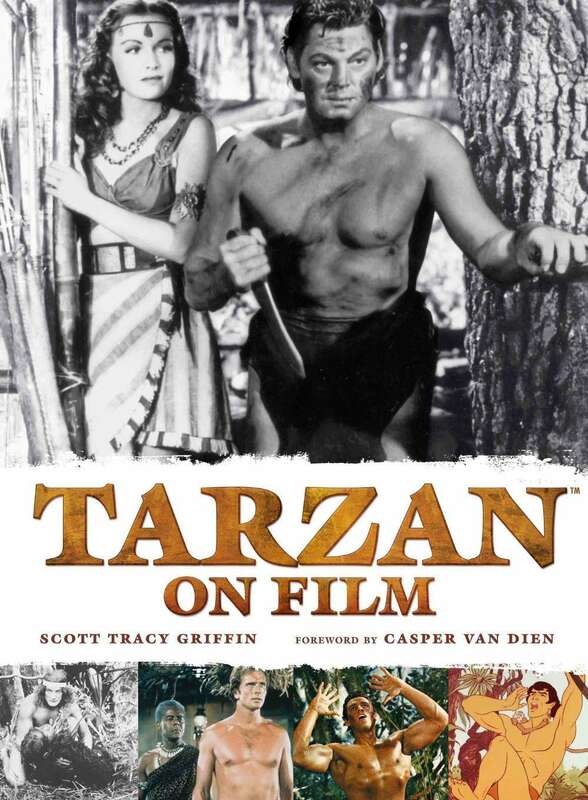 In a lovely piece of synchronicity, around the same time Scott Tracy Griffin sent me a note wondering if Titan Books had sent me a copy of his new book, Tarzan on Film. If not, he would see to it. Of course I lunged at the offer. Now, full disclosure– I am a huge fan of Mr. Griffin’s previous Tarzan book, Tarzan: The Centennial Celebration, which Titan sent to me a couple of years ago…. …and we have corresponded a little. I had been desperately HOPING Titan would send me the new one, because there was no way in hell we would be able to justify purchasing it after our recent medical and automotive expenses, but I could tell from things Mr. Griffin had said and photos I had seen that this new book promised to be as exhaustively researched and as gorgeous to look at as the previous one had been. And indeed it is. The book is organized chronologically, beginning with Elmo Lincoln’s Tarzan of the Apes in the silent era all the way up to the newest one, Legend of Tarzan. Mr. Griffin is probably one of the most knowledgeable Tarzan experts on the planet and he is the perfect guy to write this book. Moreover, he doesn’t play favorites– he applies equal thoroughness and research to every single Tarzan movie ever made, even the real dogs like Denny Miller’s and Bo Derek’s. Somehow, he makes even those entries interesting reading. There’s also a nice introduction from Casper Van Dien, who played Tarzan in Tarzan and the Lost City. As it happens, that film is my pick for the second most authentic Burroughs Tarzan film ever made– in live-action, anyway– after last year’s The Legend of Tarzan, which I suspect will be the first-place holder for quite a while. …and then maybe I can persuade Titan to let go of a review copy of THAT one. I can dream, anyway. Speaking of jungle lords in the comics, Tarzan’s not the only one out there. There’s also the Ghost Who Walks… the Phantom. 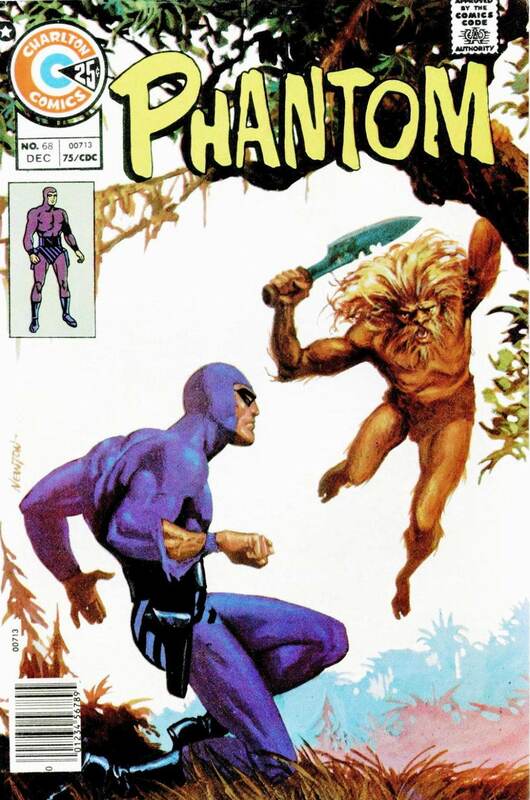 I love the Phantom almost as much as I love Tarzan. 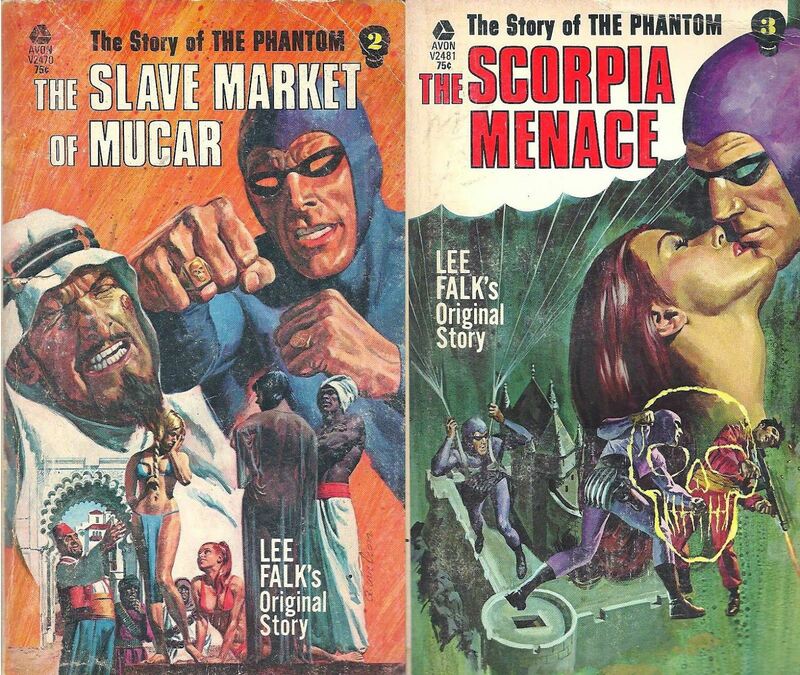 I found the Avon Phantom novels at around the same time I got into the Burroughs Tarzan novels and the paperback pulp reprints of Doc Savage and the Shadow, so it all kind of runs together for me a bit… that fierce love of two-fisted adventure was kindled in the mid-70s, when I was a teenager gleefully blowing all my lawn-mowing money on spinner-rack paperbacks. That’s where I first discovered this stuff. 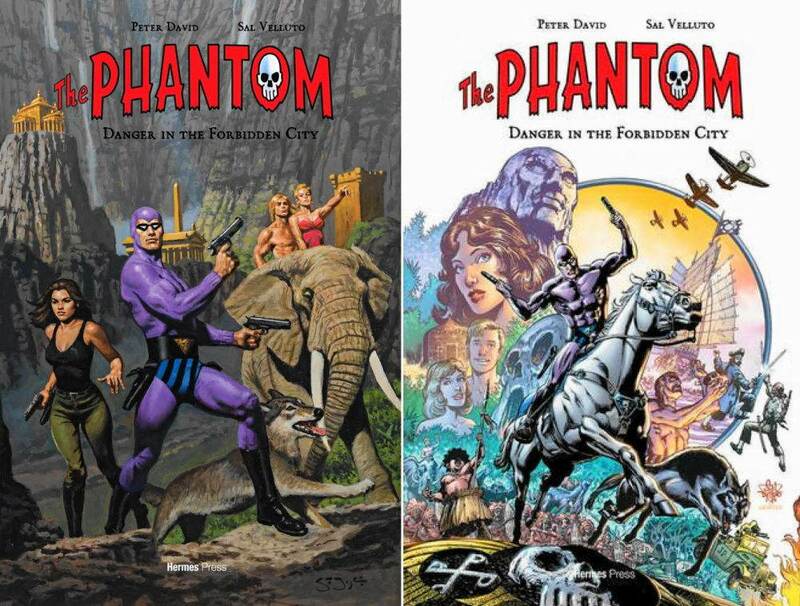 Hermes Press has its own Phantom renaissance going on… they are reprinting not only those beloved Avon novels of mine but also all the newspaper comics, the various comic-book versions from Gold Key and Charlton and so on, and even some originals along with the reprints. And they finally got to my favorite Phantom artist of all. The late Don Newton. 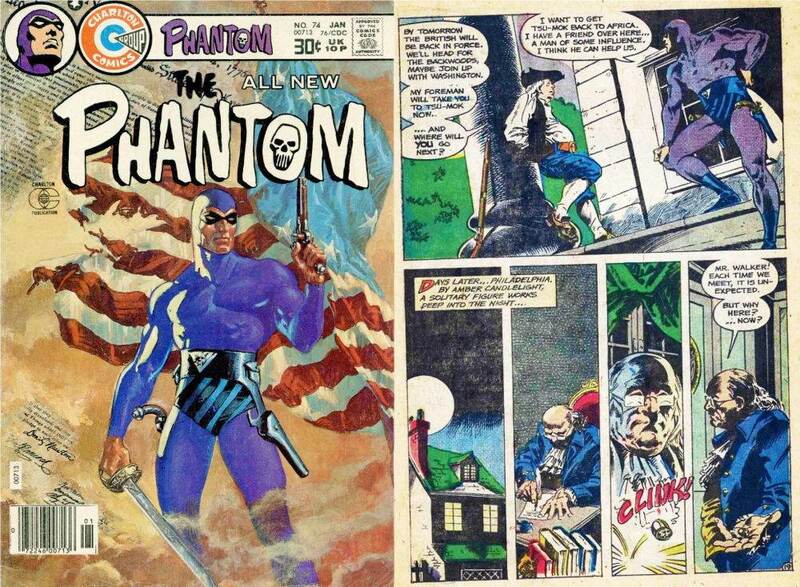 I found Newton’s Phantom just as it was ending, the Charlton series was canceled right when I was taking an interest. The stories were kind of bland but the art was amazing. And even teenage me could recognize the homages in the stories. They did riffs on the Maltese Falcon and Casablanca, on James Bond, and– my favorite just for its breathtaking visuals– the American Revolution, in honor of the 1976 Bicentennial. The 1776 story was the last in the series, and Newton not only drew it but he scripted it as well. That last issue was clearly a labor of love. Charlton did not pay the guy anywhere near what a page like this one should have gotten. Look at that schooner. Newton went on to do a great run on Batman that was equally brilliant but it’s the Phantom, and especially the Phantom of ’76, that is my favorite. I almost never buy comics just for the art but these are a rare exception. 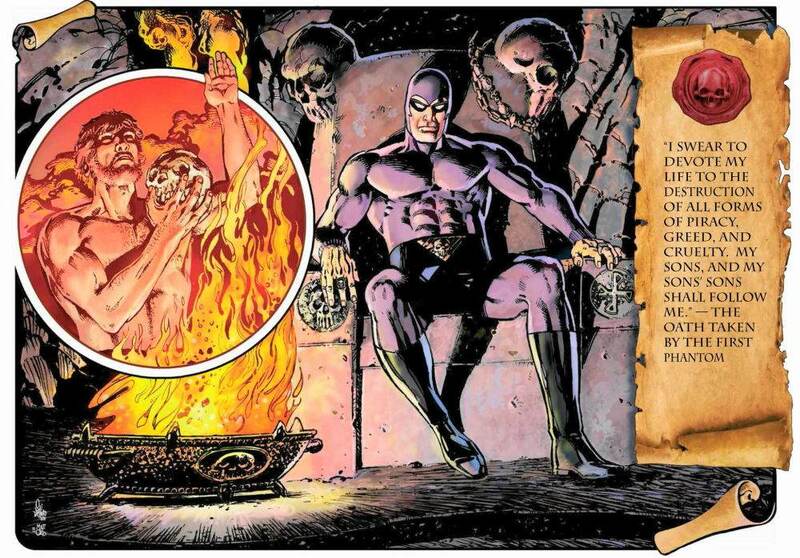 I could easily put up another dozen examples of why Don Newton’s Phantom is on that short list, but the point is that Hermes finally got around to reprinting the Newton issues. The Charlton Years volume five has all six of the Newton Phantom stories, and a bunch of others as well (that frankly suffer by comparison, but it makes for a nice hefty book.) Again, given our current poverty, this is not normally something I could ever afford, but sometimes you get lucky and find a deal too good to pass up. It was worth it. Sadly, it looks as though Hermes had to scan pages of the actual printed comics rather than genuinely remaster the art, but the book still looks pretty good and it’s the hardcover presentation Newton deserves. I don’t know if I can recommend it at full retail price, but it’s definitely worth having. Keep your eyes peeled for a dealer discount somewhere. 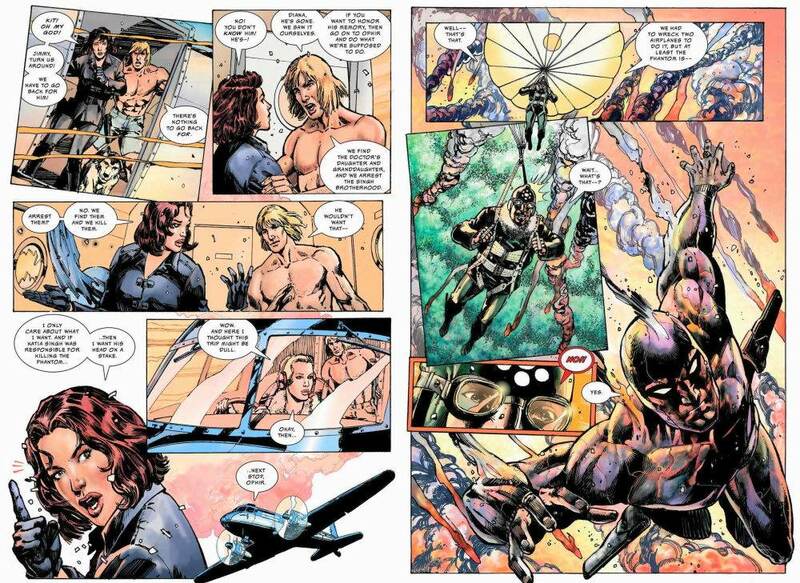 And speaking of Tarzan and the Phantom, Peter David and Sal Velluto actually did a story where they MET. Kind of. A six-issue mini-series, also from Hermes Press. I made it a point to reserve this and get it in the single issues, and I’m glad I did fuss over getting it because it was almost impossible to get hold of without special-ordering. 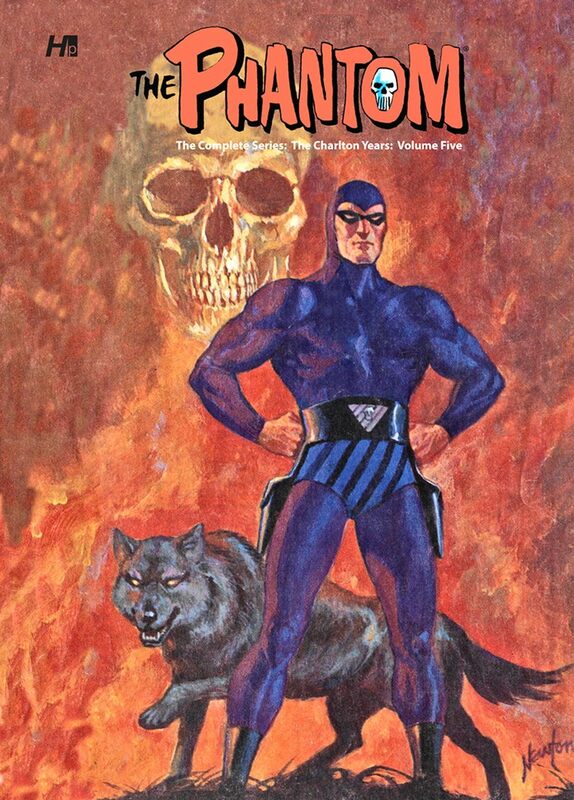 You’d think Peter David and the Phantom would be worth taking a chance on but I had to really spell it out for my retailer, who had it confused with the King’s Watch spinoff series Dynamite was doing at the same time. Peter David was very candid when the Hermes book was announced that this was basically the Tarzan/Phantom crossover story he had always wanted to see, and though he couldn’t REALLY use Tarzan, his pastiche versions of the ape-man and the lost city of Opar are close enough for jazz, and there are some interesting twists on Phantom mythology that aficionados will enjoy. It’s great fun. And I certainly don’t mean to slight the art because Velluto just killed it on this. I swear he was channeling Don Newton. It’s gorgeous work. It took ridiculously long to come out– October 2014 to April of 2016 for six issues– but the good news is, it’s available in a collected edition now. The Phantom: Danger in the Forbidden City is available in paperback, or in a special — and very reasonably priced — hardcover edition direct from Hermes. I’ve already got it in single issues but I’m still tempted by the hardcover. It’d look nice on the shelf next to the other one…. Also, I’m a huge fan of Don Newton’s later stuff, and haven’t really had the chance to see much of his earlier work, but it’s eerie how much it looks like Michael Golden’s work in the same era. Yeah, my first on-screen version of Tarzan was Ron Ely as well; I only saw the grunting version in older b&w movies a little later. Interesting that you noted how Ely’s version spoke like “an articulate and educated man”; once I started reading the books, I saw that that was also the case there: Burroughs’ Tarzan was certainly more savage, but he didn’t talk like some kind of stereotypical cave man, and (as I recall) he spoke French fluently, too. And since Pol mentioned it, I absolutely loved the Filmation cartoon (where his speech patterns were also normal). And like Pol, I adore Newton’s art, but man, every time I’ve looked, I’ve never found a copy of the Charlton years volume for less than about $35. There’s no way I can justify the expense to myself, especially when postage to Europe is factored in. Same goes for the Peter David series (which I thought had wrapped up ages ago, by the way). Too bad, because your description makes it sound really cool, and I love that art sample you posted (never heard of Sal Velluto, but he certainly does seem to be channeling Newton). Edo: Velluto drew Moon Knight for a bit in the early 1990s, and he also did Captain Gravity and the Power of the Vril for … Pennyfarthing Press, I think? The art on that is also pretty great, if you’re interested in good pulpy stuff. 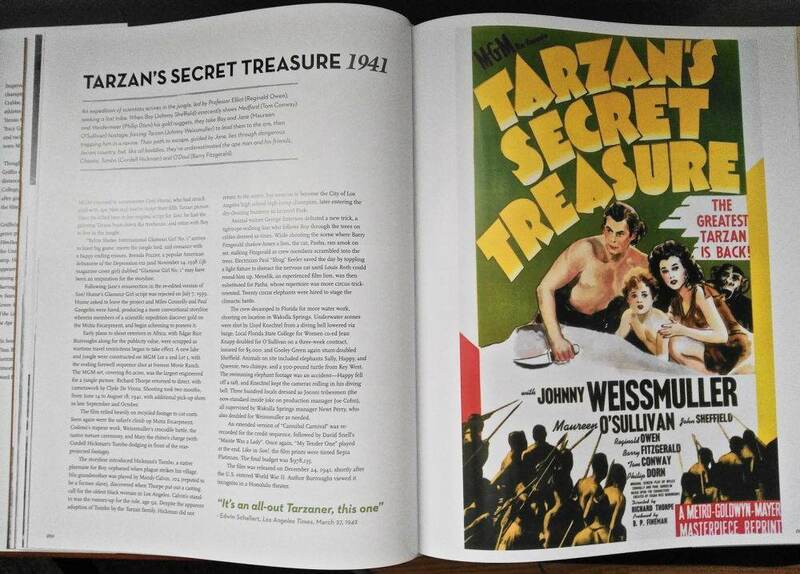 I also watched Tarzan, in syndication and it was the first material I saw, beyond bits of the Weismuller films. I loved those stories and Newton’s artwork is gorgeous. By the way, I wanted to second Jeff’s suggestion about visiting the Classic Comics Forum to anyone here who hasn’t, and especially Jeff’s various discussion threads; the “Other Guys” one he linked above probably my favorite. Count me as another Filmation Tarzan fan. That was the show that gave me the basics of Tarzan. I didn’t realize until years later how it was largely faithful to the Burroughs books. I also saw Greystoke: The Legend of Tarzan, Lord of the Apes (Whew! MAN, that’s a long title) at the impressionable age of 12, and I loved it. Christopher Lambert is still pretty much the Tarzan I picture in my head, partly because he looks like Joe Kubert drew him. A HELL YES on your recommendation of the Don Newton/Charlton Phantom, Greg. 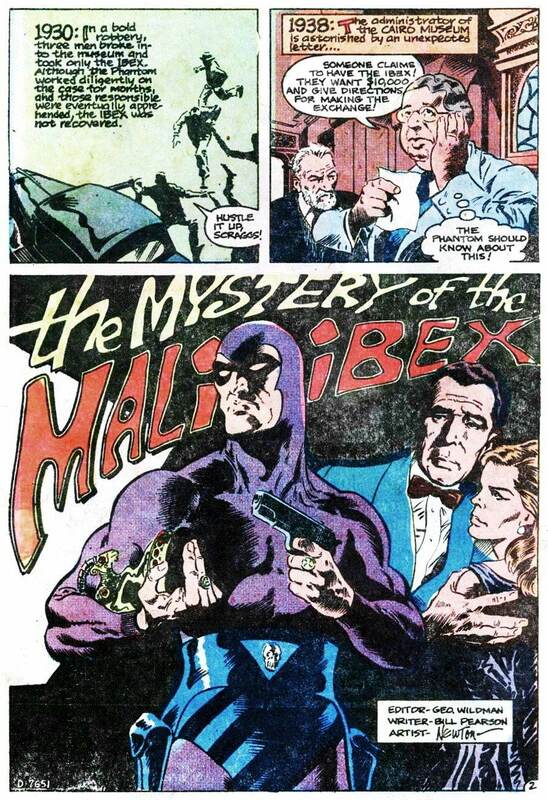 I was planning to suggest a Don Newton Phantom collection for my “Reprint This” column a few weeks back, before I discovered the Charlton Years vol. 5 collection was coming out. I still have to order that. Those issues are things of beauty. And I didn’t know that the David/Velluto Phantom mini had finally finished. I got the first four issues, and then I’d heard it was delayed because Velluto was having some health problems. I must have missed the final issues on my ever-increasingly more-periodic trips to the comics shop. So now I have to decide if I’m going to track down the last two issues (cheaper, but more hassle) or if I’m just going to order the collection (probably the more logical way to go). Christopher Lambert really is a Joe Kubert drawing, isn’t he? I’m also partial to the Greystoke movie – saw it in the theaters at the also impressionable age of about 14, and it’s always stuck with me as one of the better live-action Tarzan movies, despite it’s rather downbeat tone and the admittedly pretentious attempt to make a “serious” movie about a pulp action character. And yeah, Lambert does indeed look like a Kubert drawing come to life. A comic adaptation of the first Highland movie drawn by Kubert would have been awesome! It’s the almond-shaped eyes. The essence of Kubert-ness right there. Does Ron Ely’s hair change color 3 times in that video? And I’m not even counting stunt doubles. Who I hope lived, because that was the most awkward dive off the waterfall I think I’ve even seen on film. That show looks awesome! I do like how much the format may change, the Tarzan cry gets copied over and over. TV show, Filmation (which was super cool), and so on. *Yes, I know a chimp isn’t a monkey but an ape. But monkey is just a much more fun word. 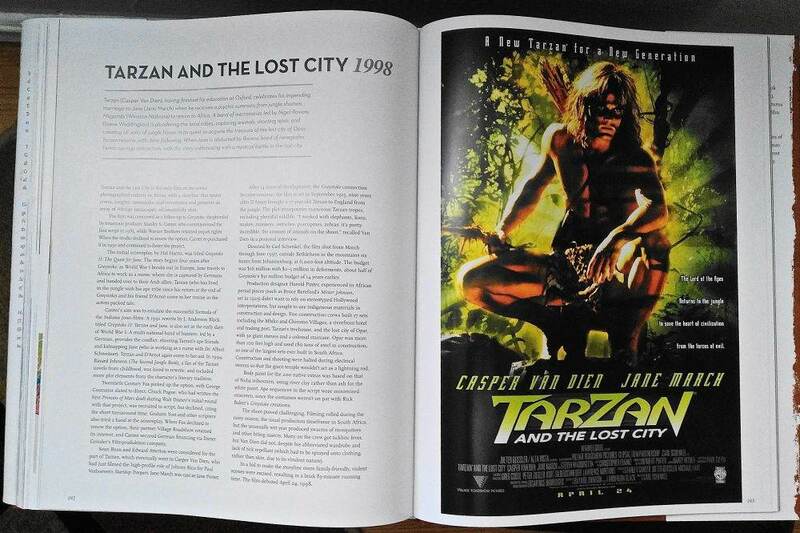 No mention of Christopher Lambert’s Tarzan? I do believe that I might’ve seen an episode of Tarzan on tv once. Can’t remember if it was the one played by Ely (probably) or the later series. 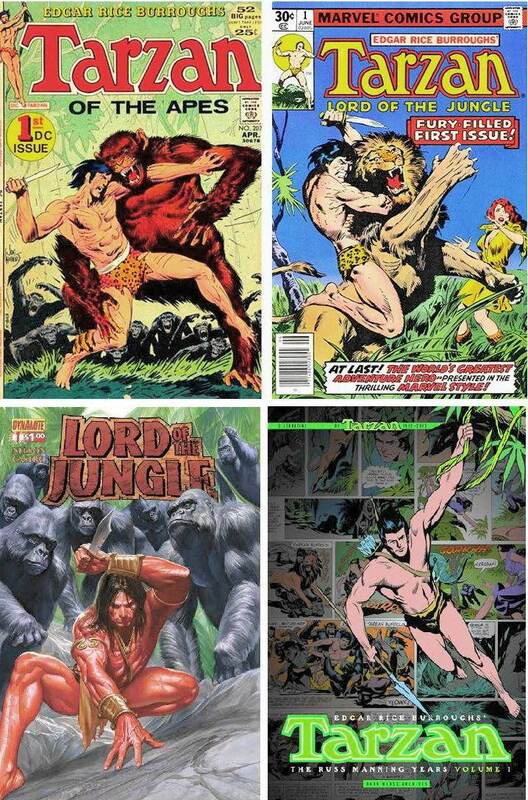 Speaking of comics, I would love to see a collection of the Mike Grell’s version of Tarzan that he wrote/drew for the newspapers in the ’80’s. These were the colored Saturdays strip. Still hoping that Dark Horse Comics (or maybe Titan) will put together the Grell collection someday. I’m not sure if it was on the Warlord Worlds podcast or elsewhere that I heard a collection is in the works. I’ve only seen a few panels of his newspaper strips, in a Comic Scene article, years ago; so, I’d like to see it, too. 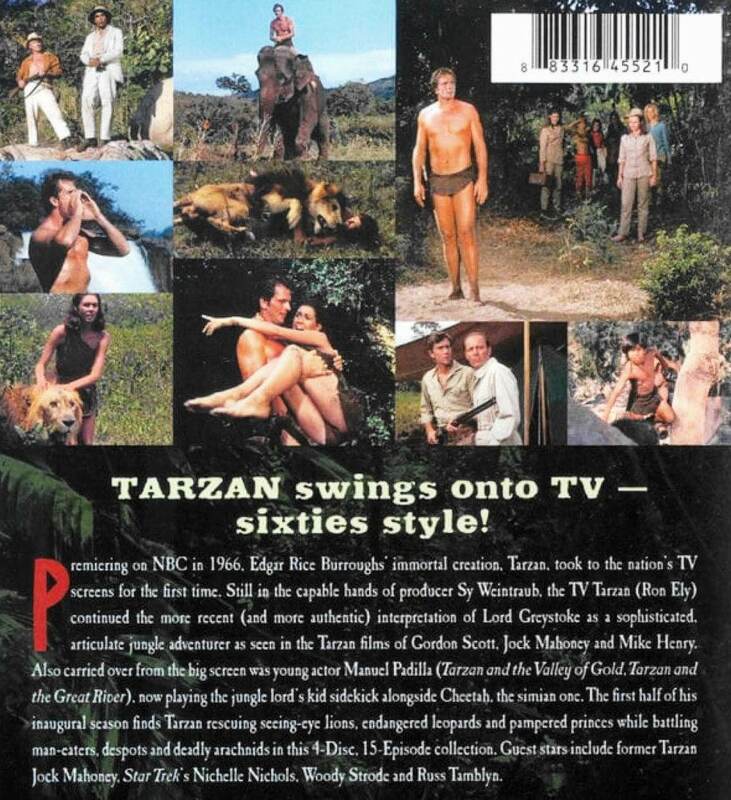 As a kid in the late 70s-early 80s that Tarzan tv show was the bane of my existence. TV Guide would say a Tarzan movie would be on Saturday or Sunday afternoon on one of the independent channels. I would tune in and it would be two episodes of the tv show stitched together and not one of the black and white movies. I would turn it off in disgust. I don’t think I ever saw a full episode. I should probably give it a chance now. The only real exposure I have to the Phantom was the movie which I thought was fine and the Phantom 2040 cartoon which I quite enjoyed. I discovered the Phantom (and Flash Gordon) in the Sunday Boston Globe while spending the summer with my grandparents in 1968. Followed that up with the reprint collections then available at the Torrance Public Library, and have followed sporadically ever since. I sat in the theater and tried to will the movie to be good. It succeeded for moments at a time, though Kristy Swanson is the most wooden actor since Charlie McCarthy. “My” Tarzan is the one by Burne Hogarth that was published in a beautiful hardcover edition that I also found at the aforementioned library sometime in the early-to-mid ’70s. From there, I read a couple of the novels and many of the Kubert comics. I spent way too many hours trying to will various film versions to be good. Greystoke managed it right up to the moment Tarzan returned to England, but I still love it just for Rick Baker’s apes. I suppose I need to watch the new film. P.S. Al Hirt did a fantastic cover of the theme from the TV show on his album “The Horn Meets the Hornet.” Maybe it’s on YouTube or Spotify.